About 70 percent of Americans have a credit card. And more than half use their card every single day. It's a simple way to pay for something and offers a measure of convenience that people find comforting. However, at least two big spenders don't believe in credit cards at all. Jay Leno and Mark Cuban both say they're skeptical of using credit cards because it's easy to end up owing more money than you initially planned to spend. "The hardest lesson I learned was getting my credit cards ripped up," Cuban said in a recent interview with Time.com's Money. "I would charge something and think I would be able to pay it off and then not be able to." The average credit card charges 16.7 percent interest. If people don't pay off their balance in full each month, that extra cost can add up quickly. Similarly, Leno only uses cash for things. He told CNBC: "If I can't afford it, I don't buy it." "The idea of writing a check every month to something, that would drive me crazy," Leno said, referring to credit card bills. "Just let me buy it. Here's the money, give me the thing, thank you, we're all set." Leno even purchased his home with cash, waiting until he had enough money on hand to afford it. While he acknowledges that's "crazy" and won't work for everyone, he says it's the best system for him. "Not everybody can do that," he concluded. "I was fortunate enough to do that and that's just my way." Avoiding credit card debt has been a big key to success for both Leno and Cuban. Aspiring multi-millionaires and billionaires should take note. Jay Tucker net worth: Jay Tucker is an electrical engineer who has a net worth of $500 thousand dollars. Part of Leno's car collection is kept in a Batcave-like structure underneath his home. He reportedly has an elevator there straight from his bedroom. Jay Leno Net Worth: How Much Money Has The Comedian Made Over His Career? And What's His Car Collection Worth? 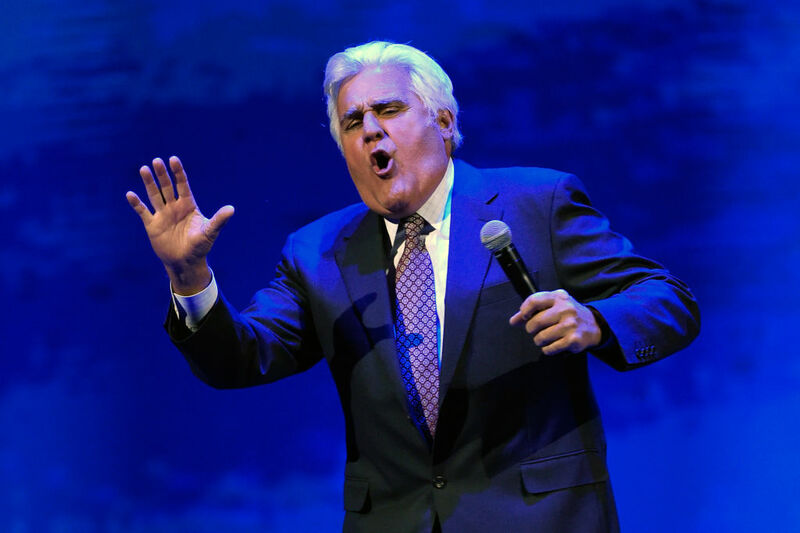 How much did Jay Leno make during his time hosting the Tonight Show, and what is his current net worth?